It is a lively night at Kate Mantilini in Beverly Hills http://katemantilinirestaurant.com/ —a restaurant selected by Ted himself, which I will swiftly come to appreciate in kind. “Did you notice? Mel Brooks is sitting a few tables down from us?” Ted informs me and nonchalantly waits for me to do a swift walk-by. The walk-about is successful as I catch a glimpse of Brooks in his hip, youthful, lemon-yellow V-neck sweater surrounded by guys in suits within both the confines of, and surrounding his booth. Dinner commences with the Grilled Eggplant, Buffalo Mozarella/Salsa Tapas, culminating in pasta and Greek salad and will conclude with Chocolate Cake surrounded by assorted creams/crèmes and fresh strawberries…(as opposed to the stale ones…)—Delicioso! -I’ve got to. Gotta wait for my lipstick to dry though…Ooh that looks so good I can’t wait ‘til my lipsick dries. -See you don’t have these problems Ted. You don’t wear lipstick. So here we go. I guess we shall start at the very beginning, how you got involved in acting and entertainment to begin with. You still remember his name! (laughing) Oh yeah Donald Germany—Oh no, not Donald Germany! …So that was like, blackmail. So I was good in his class and never cracked any jokes and did what I was supposed to do… And I went to high school and I was very fortunate that my high school drama teacher took me under his wing and nurtured my talent as a performer. And we did Shakespeare. I did “MacBeth” a second time… I [also] chose [to do] a play, “Lady’s Not for Burning” which was very rarely done but it was something I could sink my teeth into… This was back in the sixties when there weren’t that many black people [in theatre—in a 70% white school]… People would tell me, when I told them I wanted to be an actor, “Oh no, don’t do that, ‘cause you’ll never work!”…but my drama teacher and his wife were saying “No, no, no. You’re going to be all right and we’re going to help you.” They took me to Operas, they took me to ballets… And he became like a father figure for me because my parents were separated and my father lived here in L.A. and I was growing up in Oakland…We’ve maintained our friendship to this very day. We [along with our families] all go to the Oregon Shakespeare Festival once a year. …So I did plays in high school. On graduation within about three or four months, I auditioned [at the age of 18] for Romeo and Juliet and got the part of Romeo… And this is back in the sixties so we did Romeo black/white. Black Romeo/white Juliet–back in the sixties… That was unprecedented! And…I just went on this journey that was mostly theatre and the whole time I’m trying to figure out how to get into movies and television. I would always talk to…older actor[s] and say, “What did you do?” And they’d take you under their wing and give you information… So I went from the Bay Area, I came down to L.A., found out I needed a New York credential… Then I got into the Musical “Hair”…I auditioned for the musical “Hair” here [in L.A.]. And I’ll bet you had a lot of hair! And your start in showbiz comes honestly. I read your mother was actually a talk show host in Oakland? Was he ever on “The Love Boat”? Yeah…yeah! That was really a neat moment, ‘cause I had known him when I was starting out and he gave me some advice and then…for us to work together… later on in our careers…was great. You also went to the Royal Academy of Dramatic Arts! Yes! What happened was…I was directing Lynn Redgrave [in a scene on “The Love Boat”] and you know the superstition around “MacBeth”? …She and I were talking about Shakespeare… I quoted “MacBeth” and she says, “Hold it…You have to leave.” I said, “No, no really?” She says “No. 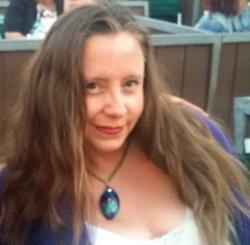 You-have-to-leave.” I said, “You can’t be serious.” She said, “I am deadly serious. You leave or I’m not doing one more ounce of shooting at all.” I said, “Really?” She said, “Yes. Go outside, go out of the soundstage, turn around three times, spit and then ask to be brought back in.” That’s exactly what I did. I went outside, turned around three times and spit. “Can I come back in?” She goes, “Yes. Come back in.” So we were talking about different [things] and I said to her, “I always wanted to go to the Royal Academy when I was a younger guy but…y’know…it never happened.” She says, “Well, it’s not too late.”…[At this point] I was in my thirties. She says…“You can do it now.” I say, “Well, y’know…look…I’m a television star. I’m making a lot of money. What’s the point?” And she says, “Well if that’s the kind of actor you are then there’s no need for me in trying to explain…” So I said, “Oh, okay.” [But] I investigated it. And I found out they had a special program in the summer for Americans but I needed a letter of recommendation. So I called up Lynn Redgrave and said, “Look I need a letter of recommendation to get into RADA.” And she says, “You want to go to RADA?” And I said “Yeah if I’m going to be that kind of actor…yeah, I want to get in and I want a letter from you.” She said, “No problem.” So my letter of recommendation was from Lynn Redgrave when I went over there…yeah man it was great! And—of course that’s another thing I want to get to, “The Love Boat”…one of my favorite shows as a kid…and you guys just brought it home every week–to work with new actors and old venerable actors every week oh-my-God!—That must’ve been so amazing! It really was…and then we were also working with the up-and-comers… We had Billy Crystal, Tom Hanks, Martin Short…all those guys were coming through…and you could see right away… You could see Martin Short had a certain kind of a genius, and Billy Crystal of course, and Tom Hanks. Tom Hanks had to play Gopher’s friend from college and they had a good chemistry. That is so cool. They kind of remind me of each other a little. Did you have to do your “research”, when you were on that show? In other words, whenever you weren’t shooting, you guys could go on cruises I’ll bet! You set a trend and this thing too (does the Isaac pointed fingers) that’s “The Isaac” Man! That was genius. That was a genius way to open the show. Was that your idea to do that? And I’m sure you have more than a few good stories from working on the show! Oh man, it was so funny. …Certain people came on the show and I just clicked with them…Lee Majors and I did that…Gene Kelly came on the show. …We were in Hong Kong, I bought him a drink and…he said, “Let me get the check.” I said, “Oh no Gene, I’m buying this.” He says, “No no, you’re a great kid. I’ll buy it.” I said, “No, no Gene, you don’t understand. I want to be able to tell my kids when they grow up that I bought Gene Kelly drinks in Hong Kong.” So…he went, “Okay, All right sure.” Yeah…he was neat. It was neat. …That was the beauty of our show. You got to meet some people, but not only that, you find you have chemistry with people you never thought you would have chemistry with. You had a chance to sit and talk to people, one on one, that you never thought you’d have a chance to talk to. …Yeah we did musicals…Oh I’ll tell you a story: When I was in New York, I used to run with two other guys, Ben Vereen and Philip Michael Thomas [of Miami Vice fame]. Ben wanted to be a dancer, I wanted to be a Shakespearian Actor and Philip wanted to be a singer…I couldn’t get arrested in drama but I’d walk in and get a comedy job just like that! Philip couldn’t get arrested as a singer but he could do dramatic stuff. And then Ben who was a dancer that could sing, ended up doing these musicals, not just as a dancer but as a dancer/singer. That [was] the three of us; we’d come to L.A. in different times in our careers and…somewhere along the line, we all split up. Ben goes off and does one thing, Phil’s doing something else and I’m doing something else. So I see him at a party [and] say, “Ben, how come you’ve never done ‘Love Boat’?” He says, “Ted, I’ll do a ‘Love Boat’ when you’re directing it,” ‘cause he knew by this time, I wanted to be a director. I said, “Okay, that’s a deal.” … Four seasons went by and then the fifth season, they gave me an episode to direct. And I don’t know if you remember this, but there were three stories [per show] and the three stories intertwined. So I go to the producers and I say, “I’d like this story to be a black story.” …They said, “Well Ted…y’know… c’mon…” And I said, “No this could be a black story.” And they said, “Well who would play the guy?” And I said, “How ‘bout Ben Vereen?”—And they go, “If you can get Ben Vereen, we’ll make it a black story.” …I call up Ben and I say, “Hey, remember you said you’d… Well I’m getting’ ready to…” He says, “I’m there!” …What I found out later is they had asked him 3 or 4 times and he turned them down every time. So when I asked him and he said “yes” they were shocked!…And he ended up on my initial gig as a director! My friend was in the show and…Lynn Moody who was on the Television show, “That’s My Mama” with me, was in it also… It was really neat. So that was my initial show…[as a director]. And how many episodes did you go on to direct after that? Oh you know…the deal is…when you’re young, you come in and you’re full of yourself…and me and Fred Grandy [aka Gopher], believe me when I tell you, we were full of ourselves. I don’t know who was more full of themselves; me or Fred. I could see you guys as two goofballs. “And be on the set when they’re doing their lines. Run lines with them if they want to…” So let’s say you’re a guest star, I would say, “Jennifer, welcome aboard. Thank you for being a part of our show. You want to run lines? I have a scene with you,“ or we would try to work out comedic bits… We’d do it before we got to the set. You don’t want to do it on the set because they’re moving really fast. And that’s what we would do… We would look after you. We would say, “You all right? You need anything? Look when you go to lunch, here’s a place. Go over here. Go over there. DON’T go over THERE!” So…there’s an etiquette to being a television star. And we learned that. We learned it from Gavin and we learned it from Bernie. And they were really wonderful about that. Wow that is amazing! Before coming to interview you I kind of went back and watched some “Love Boat”s… I was so content watching them…I actually did it this past Saturday night. Not only that, I started the first episode at 8 pm not even thinking that I’d done it like that—on a Saturday night no less and then would only come to realize, “Oh my God, this is like me being ten years old again!”—Same night—Same schedule! But what determined…’cause I always wondered this… Sometimes you would shoot the exteriors on a set and other times you would go out and shoot it in the ocean. (Jennifer’s uproarious laughter.) Shelley Winters would know! Shelley Winters would know. Not only that, Shelley Winters, whatever popped into her brain popped out of her mouth. Whatever she was thinking, she said! …Marie Osmond’s like, “No, no, no.” And she’s like, “No Marie, I’m TELLING YOU! You don’t have to get married to get out of the house!” So she’s an interesting lady. She would only do the show if Ernest Borgnine did it. ‘Cause they were friends…did she have a crush on him? Most people wouldn’t quibble about going to Italy one way or another with or without Ernest Borgnine… Speaking of locations, which studio was “The Love Boat” shot at? We filmed at Pico Twentieth Century Fox the first five years then, the next five years we did it at Warner’s Hollywood over on Formosa and Santa Monica, which is the old Sam Goldwyn studio. And you know what we used to do? There’s a place called The Gardenia…it’s a nightclub/restaurant on La Brea and Santa Monica. Back then you could get lunch there. And Fred [Grandy] and I used to take celebrities there and have them reminisce—just like this, just like we’re doing now. So we had a thing called the Goldwyn club–and the Goldwyn club would take them to lunch. We took Jack Gilford—from, “A Funny Thing Happened on the Way to the Forum”. He was good pals with Zero Mostel. … And he’s in the movie–“Funny Thing…” So he said, “What’s going on here? What are you guys doing?” We said, “We’re buying you lunch.” “Well why are you buying me lunch?” “You’ll see…you’ll see…” So we take him to the Gardenia…ordered lunch and he says, “…I don’t understand what’s going on…” We say, “Tell us about when you started out.” And he says, “Oh you wanna know about my career?” “Yeah!” And he would tell his story. He says, “Well, I’ve got a story for you Ted, I was in New York and this older black couple brings their daughter to me and they said, ‘We want her to sing and dance for you and if you think she has talent, we’re gonna let her dance at The Cotton Club!’” And the little girl danced and…he said, “Well she has talent. I think she could do quite well. What’s her name?” ‘Well her name is Helena, but we call her Lena,’ [as in] Lena Horne”. So I find out that Lena Horne’s real name is Helena and that she was in the chorus line of the Cotton Club! Ralph Bellamy told some us great stories!—Working with Carey Grant, starting the Tennis Club in Palm Springs—I directed Ralph Bellamy. And [with him] you always knew where the camera should be. …He did a thing with Dorothy Mcguire. When there was an ‘over the shoulder’ [shot]…When the camera’s over her shoulder on him, what she did was, she leaned [a certain] way and blocked his shot except that he leaned with her, so you never lost the shot. …That was priceless. So…after that happened, if someone was leaning, the cameraman would say to me “Ralph Bellamy, okay?” Then I knew I had to be aware that whatever actor I was in a scene with might lean this way or lean that way or cut me off. So I’d do a “Ralph Bellamy”. 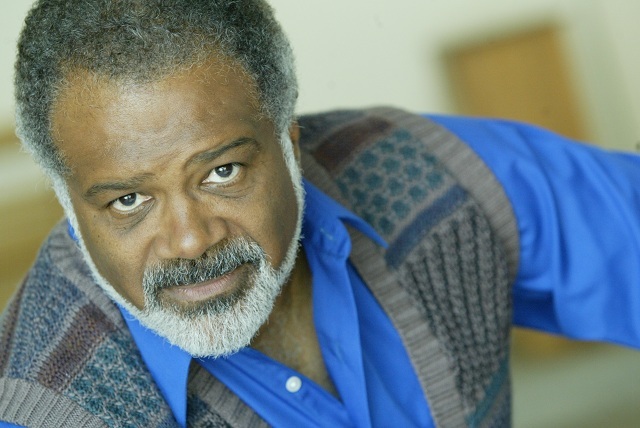 [Eventually] I ended up writing as well as directing and I started writing [episodes for] “The Love Boat”…and then I transferred that ability of writing dialogue and how you explain a character through dialogue…through playwriting. …That’s what I do. I write plays. 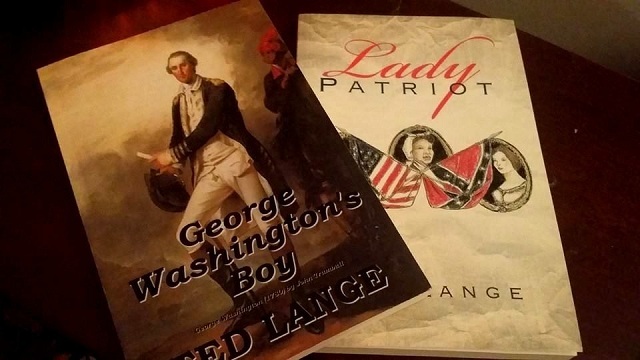 Right now, at this point in my life, I’m on a historical bend and…I’ve written a play called “Lady Patriot” and we’re going to do it in Richmond Virginia Memorial Day Weekend [at Modlin Center for the Arts in Richmond Virgina, May 23rd-May 25th]. Here’s the Premise: Jefferson Davis’ wife is given a slave, because she’s having a tough pregnancy. The slave can read and write and is a spy for the Union. They know the information is leaking but they don’t know where the leak is coming from. They’re looking at all the men [of course], not knowing that it’s this girl. …Jefferson Davis’ right hand man was a Jewish guy–Judah P. Benjamin—He came in as Attorney General and moved right up to Secretary of State and he really helped Jeff Davis. I don’t want to tell you anymore than that. ‘Cause there’s more. There’s some good stuff to it but fascinating, absolutely fascinating characters. [I wrote “George Washington’s Boy” because] …when you start uncovering who Washington is… he’s more than the father of this country. This guy was phenomenal! There are so many reasons the American Revolution should have failed and there’s only one reason it didn’t. It’s George Washington. I don’t care what you say. And then what I did was I tried to humanize him. He had a relationship with his slave; a guy named William Lee. 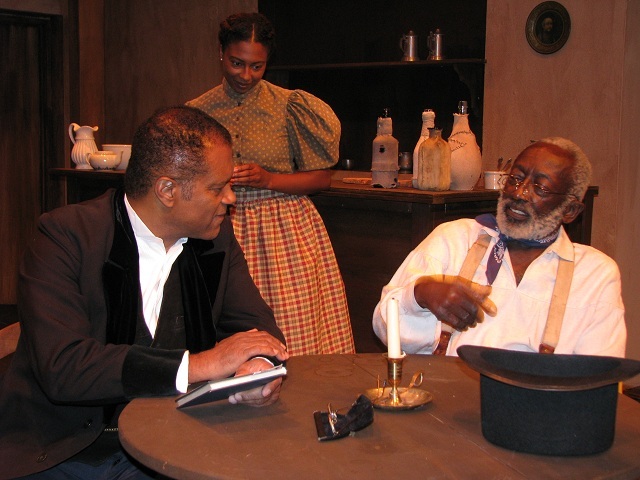 And that’s what my play is about, the interpersonal relationship between Washington and William Lee and he was not an abolitionist, he was not for ending slavery but at the end of his life he freed William Lee. And I guess the only other question is uh…what are your future plans, aside from “Lady Patriot”. Byron Allen produced two sitcoms and I directed 50 shows for him, 25 of “The First Family” and another show called…“Mr. Box Office” and I did 25 of those…They’re all over the TV now…on BET*centric…and KCAL 9… It’s on hiatus right now [but] he’s got about 75 more shows to do. As the evening winds down and Ted generously offers to pay for dinner, I find myself wanting to know one last thing about him that most of his adoring public would never know and I found out, he is a rare and collectible book enthusiast! That is so funny. Were you living in New York when you got all those signatures or Los Angeles? Do you know who Paul Laurence Dunbar is? I used to do a one man show on Paul Laurence Dunbar. Paul Laurence Dunbar was a turn-of-the-century black writer. Turn of the last century–20th century. He was a big deal. He was the first black guy to become a national figure literarily. Uncle Remus and Braer Rabbit [were written by] a guy named Joe Chandler Harris. Dunbar is a contemporary of Joe Chandler Harris. Dunbar wrote a poem called, “We Wear the Mask”. We wear the mask that grins and lies, It hides our cheeks and shades our eyes,— This debt we pay to human guile; With torn and bleeding hearts we smile, And mouth with myriad subtleties. Why should the world be over-wise, In counting all our tears and sighs? Nay, let them only see us, while We wear the mask. 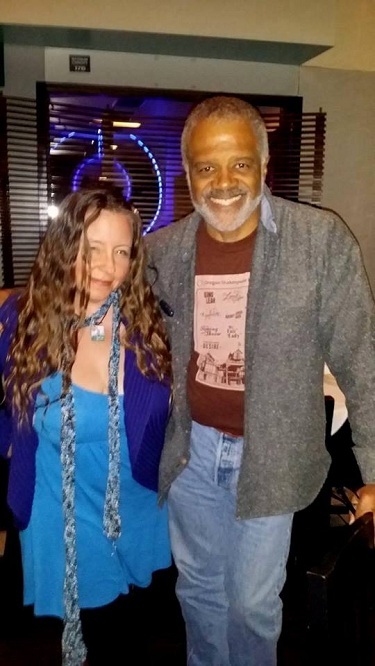 …People in the south used to do his poems, “Brown Baby”, “We Wear the Mask”, “The Party” and they’re called dialect poems ‘cause they’re usually done in a black dialect which is like “Amos and Andy”. …I have his first book that he ever wrote. And then I have a collection of his books.—First Editions—First Editions of Paul Laurence Dunbar and Joe Chandler Harris all of that old stuff. …I also have a fourth folio. You know what I mean by a fourth folio? I know in Shakespearain terms they have various folios. This entry was posted in Theater and tagged Ted Lange, television, The Love Boat. Bookmark the permalink. 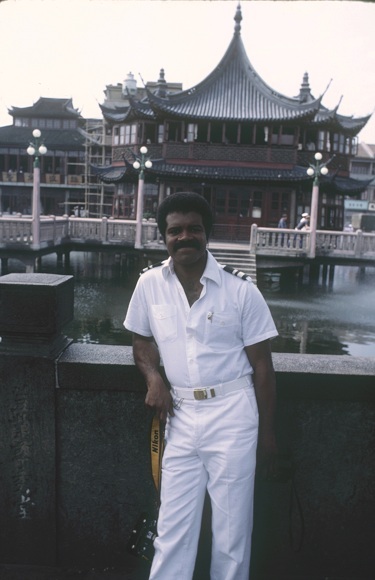 One Response to My Dinner with Ted Lange: “Love Boat” Remembrances and Theatrical Dreams—Made Real!